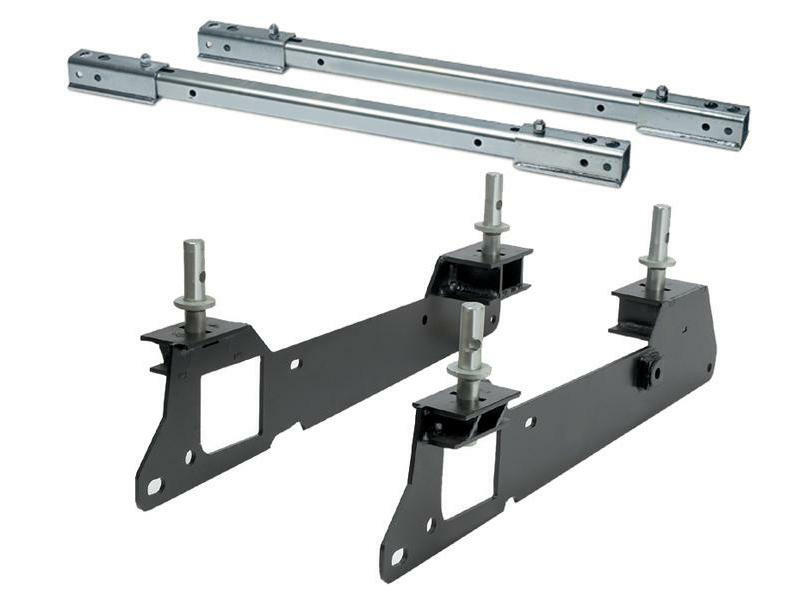 SuperRail Mounting Kits are removable base rails, utilizing SuperBracket type mounting brackets on the frame of the truck and easily removable rails in the bed. Just lift the hitch out, lift the rails off the heavy duty mounting posts and then simply twist the posts 1/4 turn and remove them for a smooth, clean truck bed. Eliminates need to cut bed mats and liners for rail to floor contact. No tools required for complete hitch, rail and mounting post removal. See "Vehicle" tab for the complete list of vehicles that these Rails are designed to fit. Mounting system removes completely from the bed when not in use. PullRite has been designing and manufacturing extraordinary hitches for over 30 years. They are recognized as the leading innovator in the design and manufacture of 5th wheel hitches, short-bed truck hitches and travel trailer hitches. PullRite strives to go beyond expectations in developing new technology, crafting quality products with care and providing superior customer service. They have combined skilled engineering and ingenuity to make the safest, strongest hitch you can find. They also maintain the highest levels of quality and craftsmanship in US facilities. When you purchase a PullRite hitch, you can be assured that you will have a well-engineered, reliable product, as well as the peace of mind provided by the family of PullRite dealers. Your hitch is the most important connection - the critical link - between your truck and trailer. Protect your investment, secure your safety and tow more comfortably by choosing a better hitch. Whether you need a hitch for full-size pickup, short bed truck or SUV, PullRite has a SAFER, STRONGER, BETTER designed hitch for you.